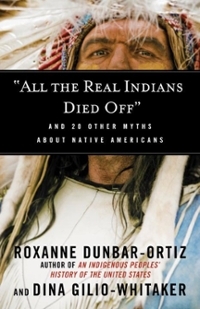 Xavier University Newswire Textbooks > "All the Real Indians Died Off" > Sell "All the Real Indians Died Off"
Sell "All the Real Indians Died Off"
The Xavier University Newswire students can sell "All the Real Indians Died Off" (ISBN# 0807062650) written by Roxanne Dunbar-Ortiz, Dina Gilio-Whitaker and receive a $2.45 check, along with a free pre-paid shipping label. Once you have sent in "All the Real Indians Died Off" (ISBN# 0807062650), your Xavier University Newswire textbook will be processed and your $2.45 check will be sent out to you within a matter days. You can also sell other The Xavier University Newswire textbooks, published by Beacon Press and written by Roxanne Dunbar-Ortiz, Dina Gilio-Whitaker and receive checks.